Think of great "driver's cars" and images of the legendary V-8 Mustangs naturally comes to mind. 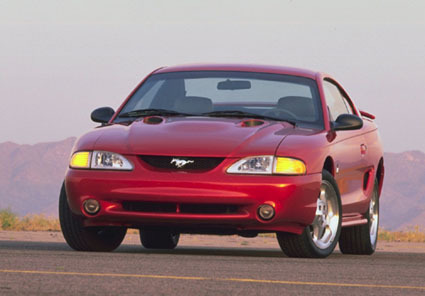 This powerful tradition is carried on proudly in the 1996 Mustang Cobra. 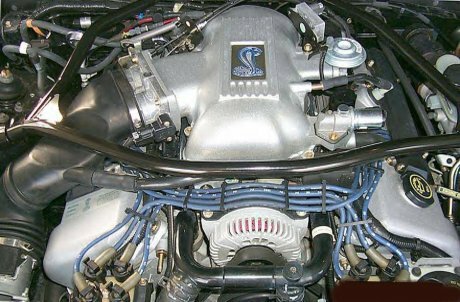 Under the hood is a newly aviable V-8 - engine, with a single overhead cam design wich contributes to increased horsepower per liter.